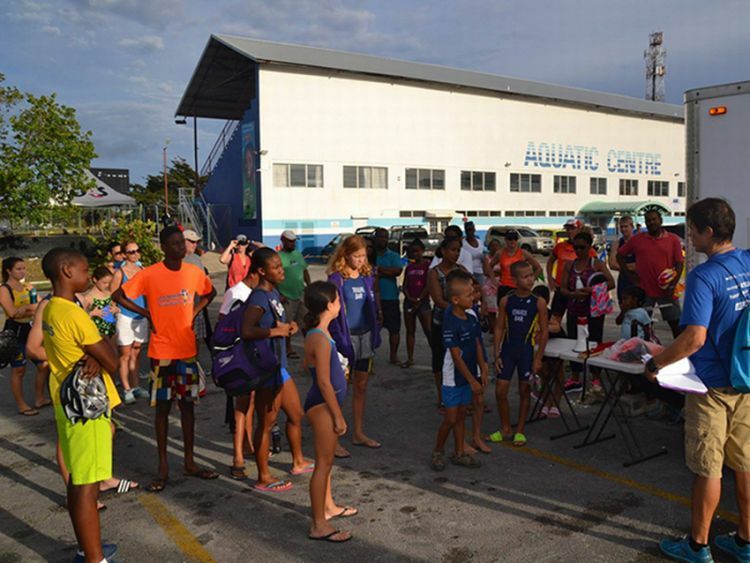 The Barbados Federation of Island Triathletes (BFIT) PINEHILL Juice Kids Triathlon race series provides opportunities for children to learn about triathlon and apply their skills in a controlled and supervised environment. There are ten races annually where kids are grouped by age and complete age appropriate distances of swimming, biking and running. One Sunday a month the races are held from the Barbados Aquatic Centre and the activities usually last from 7:00 am to 9:00 am. The races are put on in a friendly and welcoming environment so as to encourage fair play and sportsmanship. The kids are encouraged to develop their skills and fitness whilst focusing on personal time goals. The main objective is for the kids to have fun! Everyone is welcome and the first race is free. Subsequent races will require completion of the annual registration form and payment of Bds $60. For more information, contact BFIT at triathlonbarbados@gmail.com .